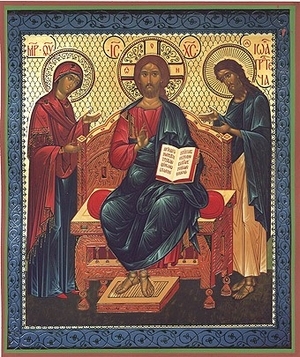 Traditional Greek-Orthodox Byzantine icon in canonical iconographic style. Lithography, wood, gold-imprinting. We offer for this icon various styles of beautiful solid wood icon cases specifically designed for the Orthodox icons we offer. You can see these icon cases in the Icon cases section.